The Bride Link s the missing link is East Tennessee Weddings. They are a 24/7 resource showcasing local East Tennessee weddings and helping brides discover their dream wedding vendors. Through showcasing the incredible work of local wedding professionals, they connect brides to the heart that runs through the local wedding businesses of East Tennessee. From elopements in the Great Smoky Mountains National Park to a full-plated dinner at the most elegant of venues, The Bride Link is your one stop guide for all things Tennessee wedding. Discover your dream vendors with The Bride Link through their easy to navigate guide to local wedding professionals. Instead of searching for hours on google or turning to social media of you can browse through their listings of local wedding professionals! Heather Greene is the owner of The Bride Link, bringing in her years of marketing, relations management, and sales experience to the wedding industry. She is a native East Tennessean, currently living in Knoxville with her husband and two children. Heather stumbled into the wedding industry by mistake, fell in love with it, and refused to leave. 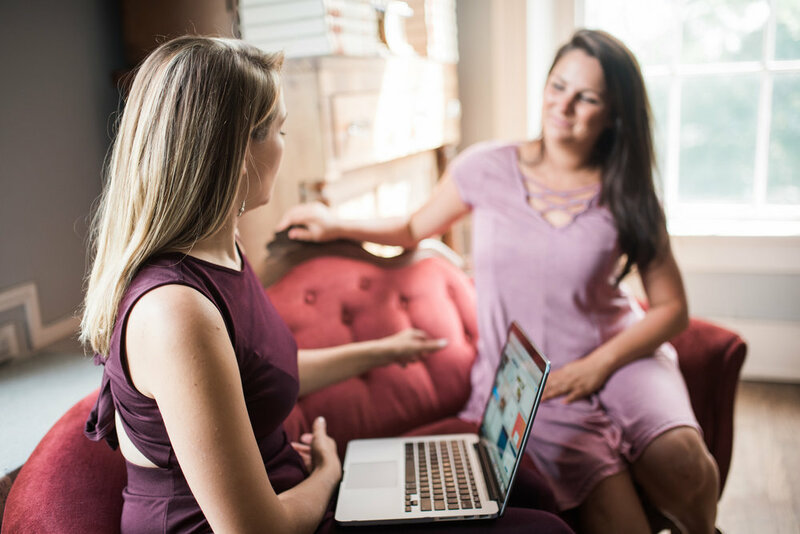 After doing some marketing consulting with a few local wedding businesses and jumping on board with one as a full-time employee, she realized that there was something missing in the world of Tennessee weddings. All of the wedding resources were nationally focused and there wasn't much in the way of local online resources. Within a few short months, The Bride Link was born. It now provides a platform for brides to discover wedding professionals in their local areas thorugh viewing their current work and collaborations with other local professionals. Their mission is to create a cohesive, statewide wedding community built on the importance of kindness and collaboration. Connecting to a network of professionals that help each other grow is vital to the success of a business in the world of weddings. Whether you’re planning an intimate elopment to celebrate your nuptials or tying the knot and throwing the dance party of a lifetime, they are here to connect you with the right people for the job.